Whether you are needing a delicious bite in town, an inspiring country-eatery or a dash of opulence with your Sunday roast, we've got it covered. Our top 10 (well 14) lunch spots in and around Edinburgh will leave you feeling hungry! Set within an old nursery, this delightfully shabby-chic café keeps it simple but seasonal and delicious. They serve soups, quiches, and cakes with a sprinkling of herbs and edible flowers. 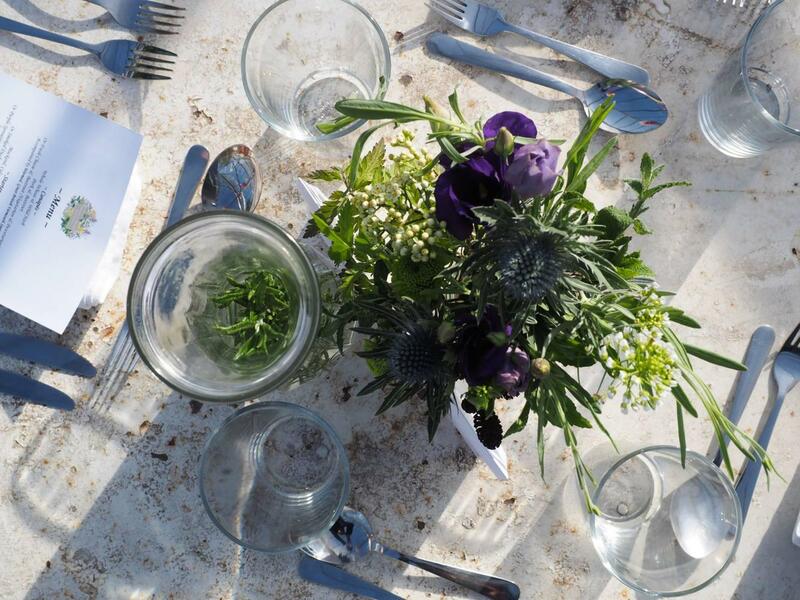 Wander throughout the nursery and greenhouses set with tables and chairs and lunch amongst the flowers. On cold days, curl up in the cosy old leather loungers by the wood-stove in the schoolhouse surrounded by drying herbs. The award-winning Dawyck Visitor Centre serves light lunches and coffees from it's spectacular new building. The huge windows take full advantage of its picturesque arboretum setting. Explore what is widely regarded as one of the UK's finest arboreta with towering trees, quaint bridges, and follies looking down to Dawyck House at the valley bottom. An Autumn visit is highly recommended. Café Modern One is the perfect spot for some alfresco dining in the city. 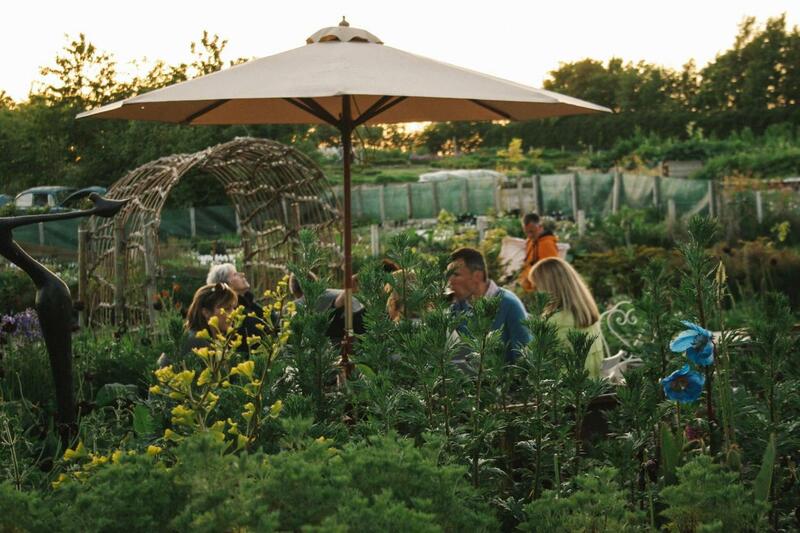 Explore the gallery and sculpture park then retire to the garden terrace to enjoy their great selection of sandwich and salads - with a glass or two of wine. The garden leads from the gallery out onto the Water of Leith Walkway. This picturesque walking route links it conveniently to Stockbridge and the Edinburgh Botanic Gardens. Valvona & Crolla is something of an Edinburgh institution; the deli and restaurant were established in 1934. There are now two to choose from, the original and more authentic Caffe Bar on Elm Row, and the modern, slicker VinCaffe on Multrees Walk. Both serve similar menus stuffed full of delicious Italian food using only the best ingredients. Whitmuir Organics, based on a farm near West Linton is well worth a visit. Whitmuir is a unique place, with the whole food system on one farm. They grow, rear, process, package, cook, and serve their own food from seedling to salad leaf. With farm shop, garden centre and farm walks encouraged. Bruntsfield is really like a bustling village within Edinburgh. It's easily reached from Eastside with a short drive into town. 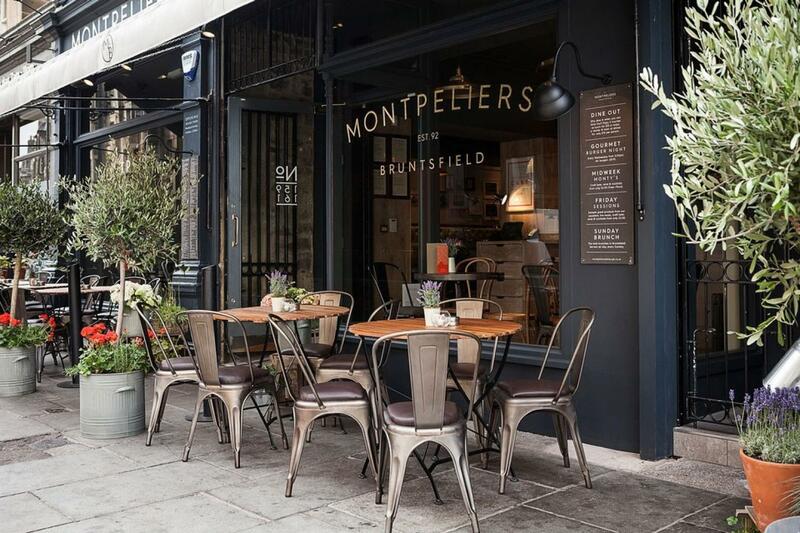 Central to the neighbourhood of shops, jewellers, chocolatier, and bakers is Montpeliers bar and restaurant. They serve light bites, pub grub and coffees to the locals. On a sunny day sit out under the awning watching the world go by. There is a short walk to the Brunstfield Links. Here it's great to lie back on a summer's day as the rest of the family explore the local boutiques. At Craigie's farm shop what you eat comes either directly from the farm or from other small local suppliers. These guys believe that good eating starts with the best ingredients, skillfully prepared to make the very most of the freshness and flavours. Nothing too fancy but good, honest food and a menu that changes with the seasons. Go berry picking on the farm in the summer or sit back and relax with plenty to entertain the little farmers at the tractor themed play-park. 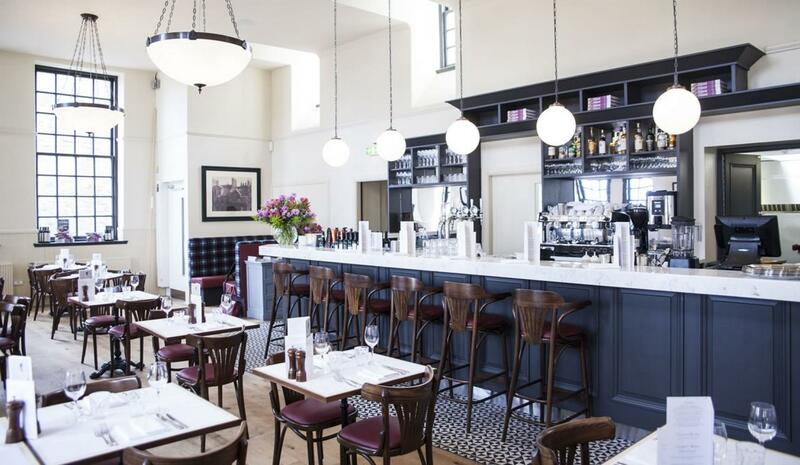 A great place to stop for lunch (or supper) after a visit to Edinburgh Castle is the delightful Contini Cannonball Restaurant & Bar, a three-storey eating and drinking experience. The restaurant on the top floor serves award-winning Scottish food with stunning views of Edinburgh Castle and The Royal Mile. Their Whisky Bar is open from 11am till late Tuesday to Saturday serving over 120 malt whiskies! For a real treat head to Prestonfield. Set on the edge of the Queen's Park with views to Arthur's Seat this grand baroque country house is home to 'Sheer glorious indulgence' (Hotel Guru). It is also one of the capital's most memorable dining experiences. Rhubarb delivers gourmet delights and magic in the oh-so glamorous Regency rooms at the heart of Prestonfield. Explore the adjacent historic rooms as places to enjoy a drink from their impressive cellar before and after dining. 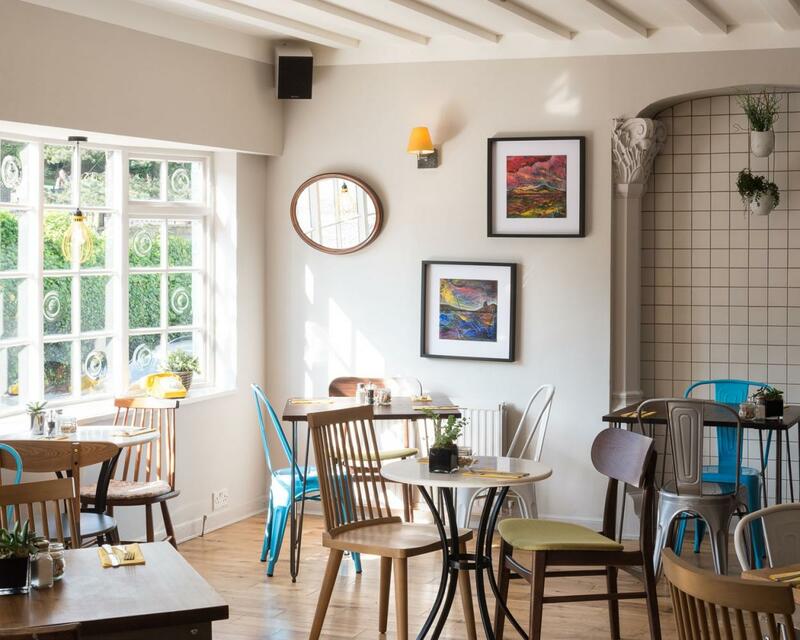 Overlooking the River Esk in the tranquil conservation village of Lasswade, this family friendly bar and restaurant serves the very best of local produce within a characterful old paper mill. In the summer their riverside terrace is the perfect spot for an alfresco lunch by the water, retreat indoors during the colder months for the log fire and excellent selection of locally brewed beer. 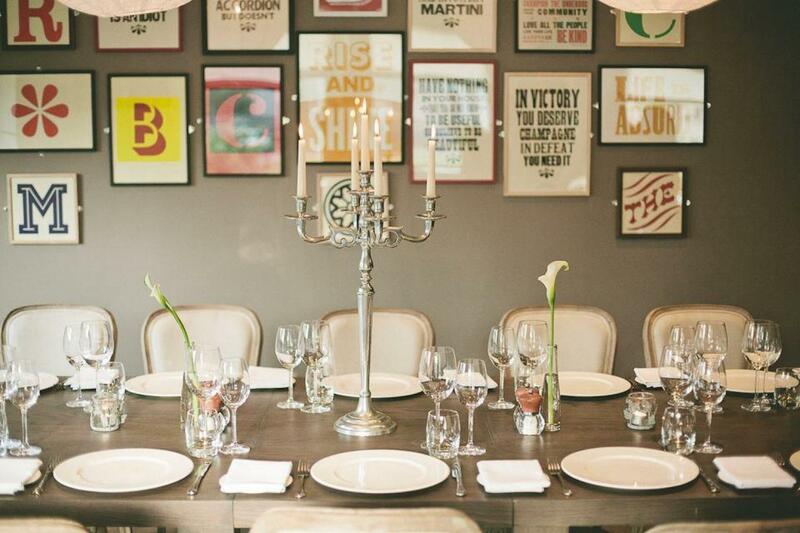 The Pantry was launched in 2012 and since then their brunches have become the talk of the town. The Sunday Times said that The Pantry's Eggs Benedict was 'reason alone to come to Edinburgh'. Now if that's not persuaded you we don't know what will! The Pantry is brimming with delicious seasonal fare, proper coffee, quirky furniture, friendly staff and a fabulous children's corner to keep the wee-est ones entertained while the rest are busy with their benedicts! 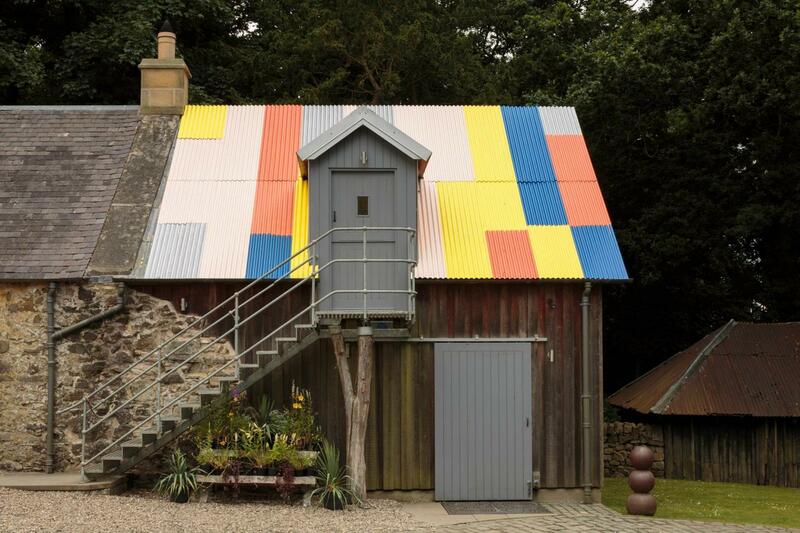 Restoration Yard comprises a cafe, boutique shop and wellbeing lab based in the historic stable yard of Dalkeith Palace. The stable yard has been painstakingly restored, so today you’ll still find the horse stalls and their feeding racks woven into its modern day interior. Visit for lovely woodland walks, relaxing yoga classes, shopping therapy as well as a delicious locally-sourced seasonal menu. Children will be overjoyed to explore their fantastic turreted treehouse. If you need a quick bite in the city, head to the Haggis Box in The Grassmarket. Serving Haggis, (and veggie haggis) neeps and tatties from the police box at the bottom of Victoria Street. For serving times see their Facebook page.